Trend Fall-Winter Looks With Knit Scarves. Everybody already know that winter is coming, so you are going to prepare to wear anything cozy and comfy to keep your body harm. 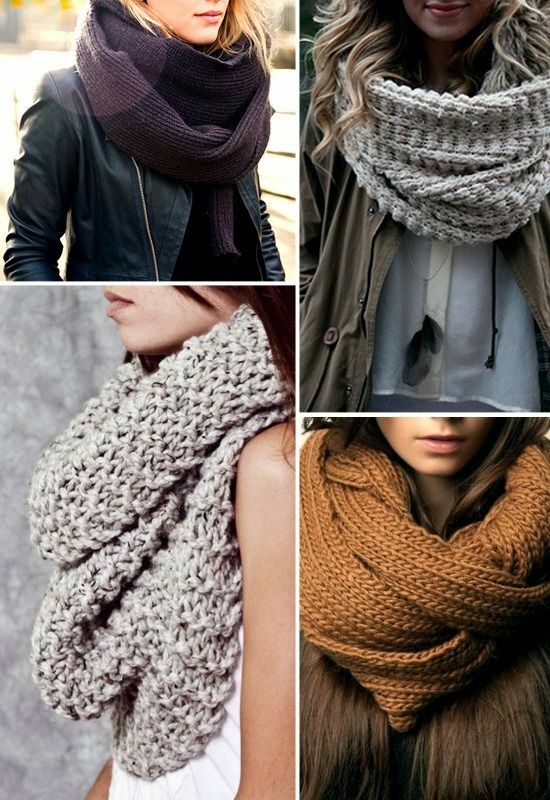 Knit scarves will help to keep you harm and look fashionable. We got some inspirations by Trend of 2013-2014 for you to wear knit scarves when Fall-Winter to help your look more cool and stylish. Although made of knit material that may be a bit old fashion for some people, you can look really chic with a coat or a favorite sweater. However, the model and color of the scarf can be influential. Just look at some of these girls look fashionable, right? 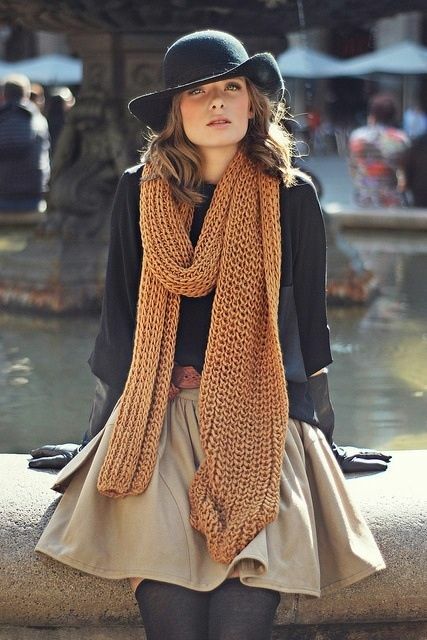 Knitting scarves is also very common for people in countries with popular fashion trends such as Paris, Korea, Japan, or Hong Kong. Scarves are the best accessory for the cold weather! They can add texture, color, and they keep you warm. Using generally scarves wrapped around the neck in a way that is more convenient, but if you just ‘draping’ or draped on the neck is also legitimate. Just look at how stylish it while wearing a scarf the models below wearing the knitted scarf. Love those brown knitted scarf she wore. Look neutral and cozy! 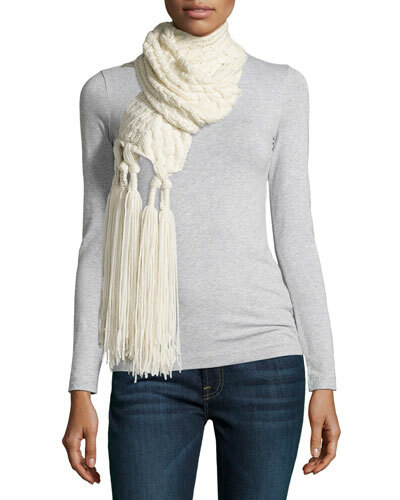 We love the shade of this scarf, it’s kind of a neutral shade and will go with anything. We also love how long it is. Fashionable style does not have to wear expensive clothes by famous designer, right? 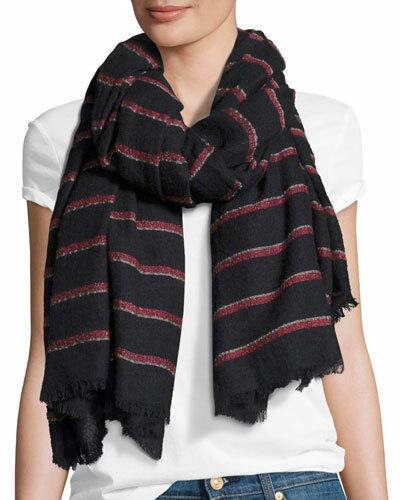 Simply draping a scarf or wrap that fits with your outfit, then you are ready to indulge in the cold weather. Good it feels to stay warm and stylish !